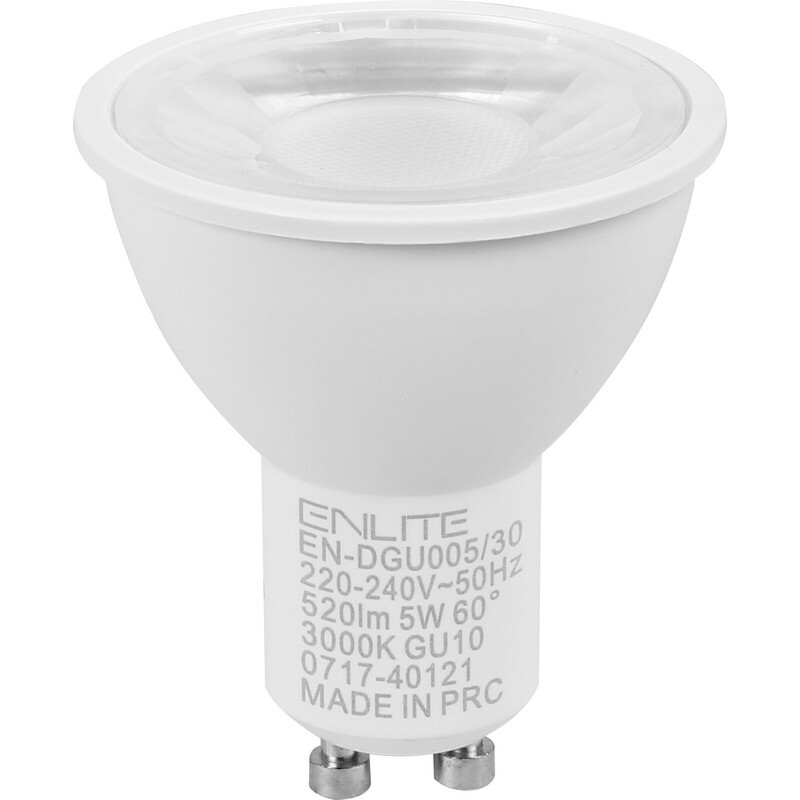 Enlite ICE LED 5W GU10 Dimmable Lamp Cool White 520lm is rated 5.0 out of 5 by 3. Rated 5 out of 5 by maximuz from great lamp I buy these gu10 lamps frequently and this time i bought in conjunction with the Fire Rated Cast IP65 GU10 Downlight. These lamps produce beautiful and yet powerful light at a wide angle. They compliment the bathroom downlights which are set slightly back with the seals.